The idea behind Reading The Lines derives from William Butler Yeats’ Easter 1916. Poets were invited to choose a line from this iconic work which resonated for them, either culturally, politically or historically. The chosen line was then given a new lease of poetic life, forming a transitional bridge from the now of 2016 to a century ago and the events which led up to or followed on from Ireland becoming a Republic. Because Easter 1916 is such a well known poem, certain lines have gone into public consciousness, lines such as: Are changed, changed utterly: A terrible beauty is born. But there are equally evocative lines which also speak to both the mind and heart, lines such as: Hearts with one purpose alone, To murmur name upon name,/As a mother names her child or We know their dream; enough/To know they dreamed and are dead. Easter 1916 as well as being an exploration of Yeats’ response to the political situation in Ireland, also reflects his fascination with numerology: it consists of two stanzas of 16 lines each and two of 24 lines, referring to the date. It’s interesting to see the various resulting perspectives in this collection. Some of the poems invoke the names of the signatories of the Proclamation; MacDonagh, Pearse, Connolly. This naming also occurs in Yeats’ poem and is ritualistic, containing within it the seeds of a sacred act. How the Rising affected children surfaces in some of the poems, poignantly conveyed by Susan Condon in ‘Sacrificial Lamb.’ One of the first casualties of the Rising was a child of tender age. Indeed, it’s the lives of real people and how they coped that occupies most of the creative space in Reading The Lines. Yeats, in ‘Easter 1916’ uses Dublin and its streets as setting, together with its people. 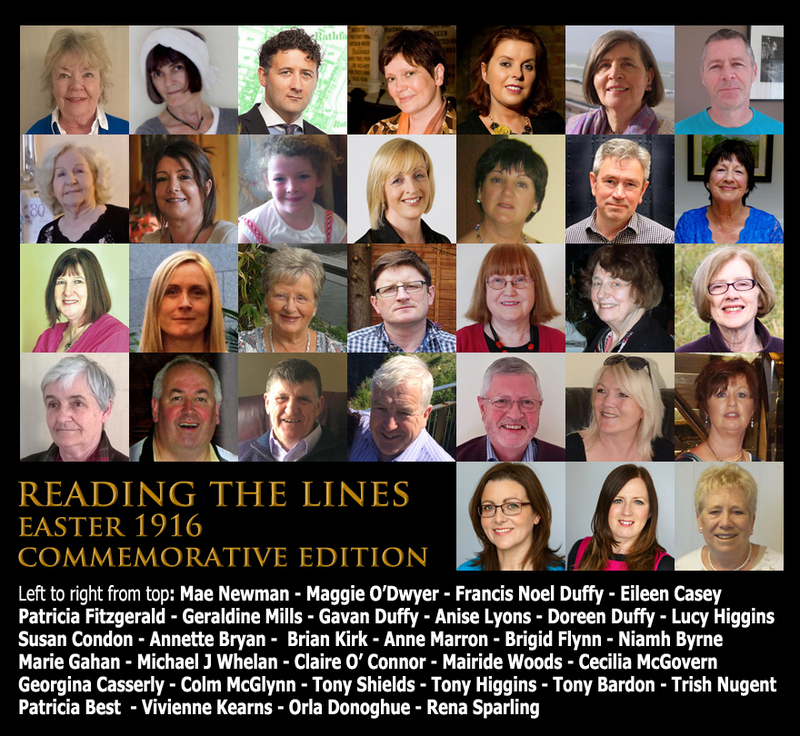 The poems in Reading The Lines come from poets who form Platform One Writers’ Group (Rua Red, Tallaght). 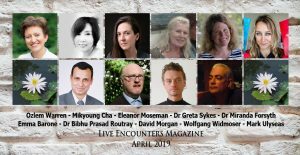 However, there are guest writers here also, writers such as Cecilia McGovern, Clairr O’Connor, Maggie O’Dwyer, Mairide Woods and Geraldine Mills. The youngest contributor is Lucy Higgins (aged 11). It’s a privilege to include them. Artists Patricia Fitzgerald and Francis Noel Duffy have abundantly given of their art. It’s extremely fitting to showcase Fitzgerald’s stunningly visual Mandalas. Yeats himself was drawn to the form (as too was William Blake) and constructed similar diagrams. He refers to them as ‘hard symbolic bones’ in his introduction to ‘A Vision,’ (published in 1925, an explanation of life founded upon the writings of Giraldus and upon certain doctrines attributed to Kusta Ben Luka). They were, in his view, ‘the living organism of imagination of which poetry is the flower.’ No less significant is the inclusion of images from Duffy’s exhibition 1916 Women Rising Up. Some of the poems are themed around two of his subjects Constance Markievicz and Maud Gonne. Ainé Lyons is a native Dubliner, born in 1936 in a small village (Milltown) on the banks of the Dodder. In Praise of Small Things (Fiery Arrow Press) is published to celebrate her eightieth year. 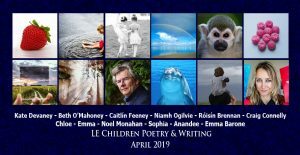 Her work has received many awards from literary competitions including, Francis Ledwidge, The Luas Literary Award, The Golden Pen and Jonathan Swift Awards. Carol Ann Duffy, while Poet Laureate in the United Kingdom, highly commended her writing. Anne Marron, Dubliner, Emigrant and Lifelong Learner always had a grá for communicating. Her favourite hobbies are writing, reading and painting. Her writings were read at The Irish Writers’ Centre and anthologised in Ireland’s Own, Kaleidoscope (a collective memoir), Letting Go (a memoir published 2015). Her prose received an award at The Jonathan Swift Awards. Anne holds a BA in English and MA in Socio-logy. She lives with her husband Niall, in Lucan, County Dublin. They have three grown up children; Maria, Niall and Liza. Annette Bryan is a writer and a member of the Red Roan Writers and Platform One. Her work has been published in magazines and newspapers. Her latest story Site 666 is included in the anthology Circle & Square. Her love for the Arts started at a very young age when she could be found taking the leading part while acting and singing at stage school. She studied painting in oils back in the eighties, and was overjoyed when she received her first commission. She lives with her husband Paul in Templeogue. Brigid Flynn is a member of Platform One and St. Muirin Writers. She gets inspiration from her childhood in County Kilkenny, years spent in London and current life in South Dublin. Writings are featured in anthologies: Flower Gathering, South of the County: New Myths and Tales, Circle & Square (Fiery Arrow) and Kaleidoscope. Achievements include prize-winner in Dublin County Council Poetry Competition and Poet of Fingal Competition. Work was included among the prize-winners in the Francis Ledwidge and Jonathon Swift Awards. Cecilia McGovern was born in County Mayo and has lived all her adult life in Dublin where she worked as a primary school teacher. Always interested in poetry, W.B.Y. is her all time favourite. She was a prize-winner on two occasions: “Poetry Now” (Dun Laoghaire Poetry Festival) and also The Dart Poetry Competition (her poem subsequently displayed on the Dart). A collection of her poetry Polishing The Evidence was published by Salmon Poetry in 2009. Clairr O’Connor lives in Dublin. She is the author of two novels and four collections of poetry. Her radio plays have been broadcast by RTE Radio One, BBC Radio 4 and Radio Warsaw. 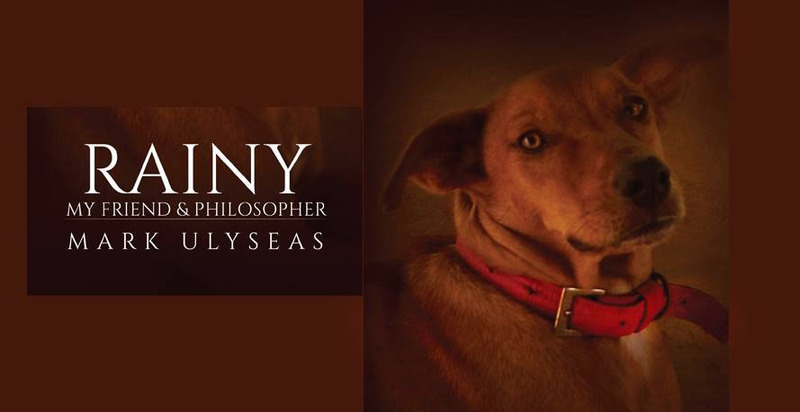 Her most recent poetry book is So Far (Astrolabe Press 2012). Her New & Selected Poems will be published by Astrolabe Press in 2017. Widely anthologised, her work is included in The Great Book of Ireland and The Field Day Anthology of Irish Writing (Vols IV/V). Colm McGlynn was born in Rathmines and is a priest and Provincial of the Servite Order. He has won 1st prize in South County Dublin Social Inclusion’s Poetry Award. Currently based in Benburb, County Tyrone, he enjoys writing poetry, reading and he also enjoys time spent with his brothers and sisters and their families. Published The Golden Thread (Fiery Arrow Press) in 2014. 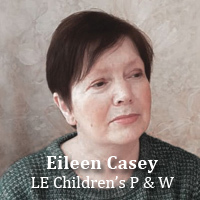 Eileen Casey’s poetry and fiction are widely published in collections and anthologies. She has shown a number of poetry in public places installations, including ‘Reading Fire, Writing Flame’/’Seagulls’/’The Jane Austen Sewing Kit’/ ‘Poetry on the Wall’. She holds an M.Phil (Creative Writing) from The School of English, Trinity College Dublin. She is a recipient of a Hennessy Literary Award (fiction) and a Katherine Kavanagh Poetry Fellowship. Fiction awards also include The Maria Edgeworth and the Cecil Day Lewis Prize. Francis Noel Duffy is the Deputy Mayor of South Dublin County Council. He was educated at Dublin School of Architecture and holds an Architectural Hons Degree and Diploma. Married with three children he is an artist who has exhibited his work for the past 17 years. His 1916 Women Rising Up exhibition highlights the activity of the forgotten women who played a major role in the country’s struggle for independence. 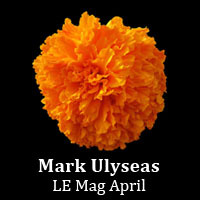 It featured on radio, television and in print journalism. Gavan Duffy lives and works in Dublin. 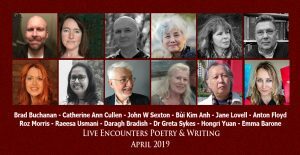 He is a member of Platform one Writers’ Group and has previously published in Crannog, Stony Thursday Book, Poetry Ireland, The Stinging Fly, Boyne Berries, Poetry Porch, South Bank Poetry Journal, New Irish Writing. 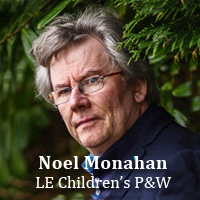 He has placed or been commended in various competitions including Dromineer, Redline Book Festivals, and was shortlisted for a Hennessy Literary Award in 2014. Georgina Casserly – My paternal roots are from Castleventry, County Cork. I was born in India, lived in England and South Africa. I arrived in Dublin in April, 1966, two years wed to Don my Irish husband from Clontarf. I joined a Creative Writing Group – St Muirin’s and to my surprise I enjoyed the challenge as well as the company of a wonderful group of women. I’m also part of Platform One. Geraldine Mills is the author of three collections of short stories and four collections of poetry. 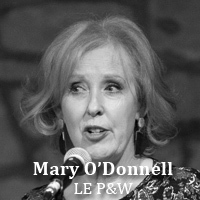 She has been awarded many prizes and bursaries including the Hennessy/Tribune New Irish Writer Award, two Arts Council Bursaries and a Patrick and Katherine Kavanagh Fellowship. Her fiction and poetry is taught in universities in Connecticut, and Massachusetts, U.S.A. Her first children’s novel titled Gold is forthcoming from Little Island in June, 2016. She is currently working on her second children’s novel. Mae Newman lives in Rathfarnham and is a member of Platform One, Marley Poetry Group and St Muirin’s Writing Group. She has won numerous prizes here and abroad. Her debut poetry collection Mist Shrouds the Morning was published by Lapwing. She is a member of Whitechurch Library Social History. She likes to read and go to plays. Maggie O’Dwyer was born in Dublin in 1951. Since graduation from art college in 1974, her work has been exhibited widely and included in the Royal Hibernian Academy Exhibitions. In 2000 she won a scholarship to the Eastern Washington University Writing Workshop and was awarded a place in the Poetry Ireland Introduction Series in 2007. Her debut collection Laughter Heard from the road (Templar Poetry) was short listed for the Rupert & Eithne Strong Award in 2009. The Wire Heart (Templar Poetry) is her most recent work and was launched at Keats House in April, 2016. Mairide Woods writes poetry short stories and radio pieces. Her work has appeared in anthologies and reviews and on RTE radio. She has won several prizes including two Hennessy awards, the Francis McManus and a PJ O’Connor award. Two collections of her poetry, The Lost Roundness of the World and Unobserved Moments of Change have been published by Astrolabe. One of her poems appears in the recent anthology: If Ever You Go to Dublin Town. She lives in North Dublin. Marie Gahan, poet, journalist and fiction writer, has won the Scottish International Poetry Competition, the Works National Women’s’ Poetry Competition, the Listowel Poetry Competition and the Golden Pen. She won the Cootehill Short Story Competition and was shortlisted for the William Trevor Prize. 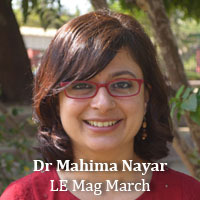 Her debut poetry collection The Margarine Eaters was published by Lapwing Press in 2009. She facilitates Creative writing classes and has edited Flower Gathering and Kaleidoscope two anthologies of her students’ work. Michael J. Whelan lives in South Dublin. He served as a UN Peacekeeper in Lebanon and Kosovo with the Irish Army and is a historian and keeper of the Air Corps Military Museum. He was 2nd Place in the Patrick Kavanagh & 3rd in the Jonathan Swift Awards. He is widely published and read for the Poetry Ireland Introductions Series and his debut collection Peacekeeper was published in 2016 by Doire Press. Niamh Byrne is a poet, writer and dramatist. She has worked on creative projects that have been staged in Listowel and Dublin. 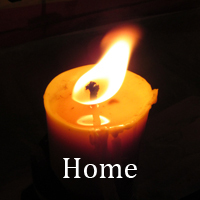 Her most recent prose piece is in the anthology Circle & Square (Fiery Arrow Press). Niamh teaches creative writing and is at present working on her first novel. She is a member of three writing groups who are all currently working on projects. Patricia Best began writing poetry and short stories in 2008, on reaching a significant birthday. Since then she has enjoyed seeing her work published, awarded and preformed. She has been included in many anthologies, most recently, with Little Gem in Circle & Square, (Fiery Arrow Press). On finishing a Creative Writing course in NUI Maynooth she has embarked on the adventure of writing her first novel. She is a member of Platform One and Virginia Writers in Tallaght where she lives and Phoenix Writers, Maynooth. Patricia Fitzgerald is a Mandala Artist based in Dublin. From the classical Indian language of Sanskrit, the word mandala can be loosely translated to mean circle. The mandala represents wholeness, the structure of life itself, a cosmic diagram that shows us our relatedness to the infinite, that which extends both beyond and within our bodies and minds. Patricia studied Visual Education and Communication at Dun Laoghaire College of Art & Design (IADT) and also holds a first class honours degree in Philosophy and Sociology from University College, Dublin. She hosts workshops on the art of mandala and meditation both in Ireland and abroad. Rena Sparling – Since her marriage to Eamonn in 1974, Rena, a northside Dubliner, has lived in Knocklyon, Dublin 16. While rearing two sons she volunteered to assist the local newsletter team with their regular publication of the Knocklyon News. Returning to the workforce in the late 1990s she spent two years working with the Library service in Dublin City and County before finally returning to the Civil Service. Now retired, she has more time to pursue her interests in Literature and the Arts. Tony Higgins has written songs, stories and poems for many years. He was nominated for a Hennessy award for poetry in 2006. 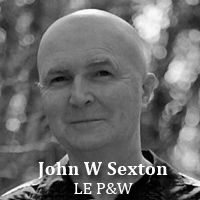 His work has been published in Ireland, England, Holland and the USA. Lucy Higgins is aged 11 and is a 6th class pupil at St John’s N.S. Clondalkin. She will be starting secondary school in September. Lucy likes art, reading, music, languages and sports. This is her first published poem. Tony Bardon is a singer/songwriter living in Dublin. In an earlier life, he was an Accountant but now retired he has the time to pursue his passion for music This involves him singing in his community, running a song writing workshop and writing the occasional poem. Over the past few years, he has participated extensively in a number of projects with song writing and music groups across Europe. His music is available at www.tonybardon.com and www.hazelwoodsongs.com which features selected poems of WB Yeats. Tony Shields – I was born in Co. Cavan and came to Dublin 55 years ago. I am married to Mairéad and we have 3 adult children. 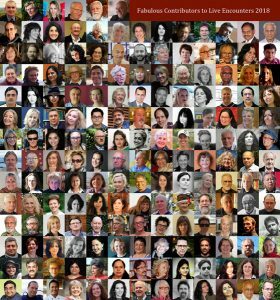 I am a member of both Marlay Grange Poetry group and Platform One Writers’ Group. I have had some poetry published. I have a Diploma in Theology, General Counselling and Addiction. I have a passion for sport and am a member of Ballyboden St Enda’s GAA Club. I am also a member of a male Spirituality group for many years. Trish Nugent is a writer of poetry, memoir and scripts She has had poetry published in newspapers and magazines. Three of her memory pieces have been published in Irelands Own. Trish has won several prizes for her poetry. One memory piece is included in Platform One’s anthology Circle & Square. She has been writing for and performing with ‘Scene Stealers Drama group’ for the past six years. They regularly perform at Rua Red in Tallaght. Trish is writing her first novel.